Of all the aspects of guild leadership, the one I’m asked about most frequently is recruiting. It’s no surprise — this is probably the most critical, life-or-death task that a raiding guild’s leaders have to accomplish. This week, one officer asks about recruiting and retention at this point in Legion. I’d like to discuss that, but also the bigger boom/bust cycle of recruiting in WoW. How do you see the state of guild recruitment and retainage? My guild doesn’t have a problem but, others do. Right now the situation is generally what it is about two thirds of the way through an expansion: not great. At this point, players have realized all too well the drawbacks in the expansion’s design. They’ve grown a little bit weary of the setting. They’re eager for that upcoming climactic confrontation, so that the expansion can wrap up and we can move on to the next one. Legion is no different, although I would say it’s still much better now than during the middle of Warlords (if Warlords could even be said to have a middle). The flaws are apparent. 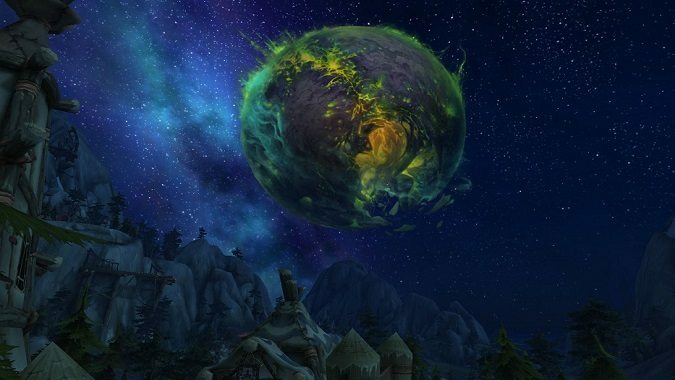 A lot of players who thought after the first few months that Legion was one of Blizzard’s best-ever expansions have become disenchanted with it, or intimidated by what Legion asks you to do, or just straight-up burnt out. Most players are getting sick of the green fire motif, especially considering we’ve been living with it since the last content patch of Warlords back in the summer of 2015. Still, there are raiders out there who are excited about tackling the Tomb of Sargeras. They may have taken a break from WoW and have now returned to shove Kil’jaeden’s smug speeches down his throat. Maybe they never stepped away, but they’re unhappy with their guild and the new raid tier gave them a good excuse to move on. It’s a better time to recruit now, certainly, than during the dregs of the Nighthold period. Not as good as just before and just after Legion’s launch. Not as dire as it will be after we’re all sick of Argus and can’t wait to plunder the South Seas. Retention is always tough at this point in an expansion for all the same reasons I gave above. This is the cycle of recruiting and roster stability in the game. Let’s take a deeper look. 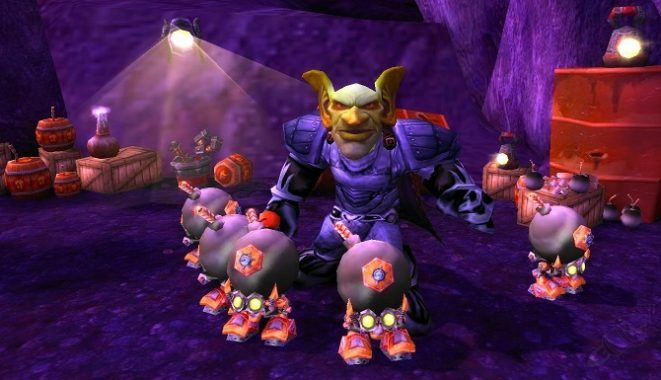 WoW has a pretty intuitive cycle of good and bad recruiting that’s tied to expansions. The cycle begins with a massive surge in recruits right around an expansion’s launch. This is the best time to add bodies to your raid team or to start a new guild. Enthusiasm is high. Players resubscribe in droves, many to find out that their guilds did not survive the transition from one expansion to the next. They’re looking for a new guild. Maybe they’re using the new expansion as a time for a fresh start. Regardless of players’ reasons, it’s the major boom point in the cycle. A month or so after the expansion launches, this surge starts to level off and then decline. Players have found the guild they’re looking for. The number of new and returning players adopting the expansion starts to fall. This period is when guilds get a little frantic trying to fill out those last important slots. A flex DPS/tank, for example, or a healing spec with powerful raid utility that the roster lacks. In graph form, picture a steep rise right around an expansion launch, a short plateau, then a steep descent as things settle out (a minor bust part of the cycle). Each patch — or more accurately, the release of each raid tier — produces a smaller version of this pattern — a minor boom followed by a minor bust. Recently we were in a minor boom for the Tomb of Sargeras release, but the pattern is starting to descend once more into a minor bust period. An important note here is that each successive raid tier within an expansion produces a smaller boom and a more severe bust than the next. The overall trend is down. In general, the later into the expansion you bring a player on board, the less likely they are to stick with your guild in the future. Some of them have hopped to you from another guild, and it’s a habit that dies hard. Others didn’t start with the expansion launch because they’re just not that into WoW, or they didn’t love the premise of the expansion, so they took their time getting started. These players are far more likely to get bored and quit. The players that you recruit during the final raid tier of an expansion have the worst retention outcomes. Many of these players are just looking for a guild they can raid with until they’ve cleared the last raid zone at the difficulty they prefer. Then they are likely to quit the game until the next expansion drops. Whether they stick with your guild in that next expansion is anyone’s guess. Finally, the BBC curve bottoms out during the interminable content lulls between expansions. In WoW these lulls have so far been pretty severe. 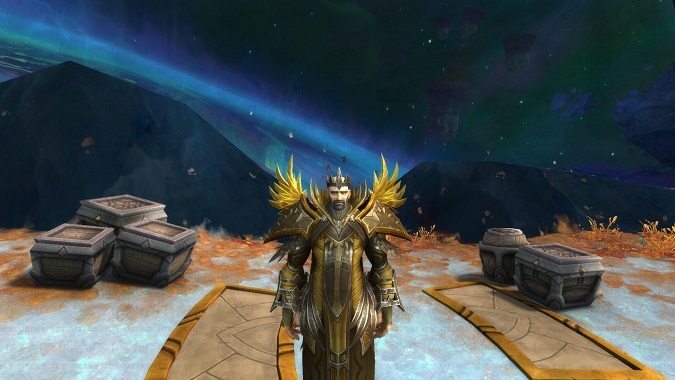 Substantial portions of WoW‘s subscriber base quit the game. Attendance plummets. If your guild hasn’t cleared the tier, progression can grind to a slow and painful halt. Guilds struggle during these lulls. Often, guilds die. The recruits just aren’t there. Officers need to understand and anticipate this cycle in order to keep their rosters healthy. They need to be very aggressive before and after an expansion launches. They need to leverage the excitement of each new raid tier to grab one or two extra players. They need to look ahead and see the point where they will start to bleed bodies, where the attendance will inevitably wither, and prepare for those times. These days, I recommend over-recruiting during the booms. Like a squirrel gathering nuts, you need enough to last you through the winter. For guilds, that winter is the deadly inter-expansion content lull. 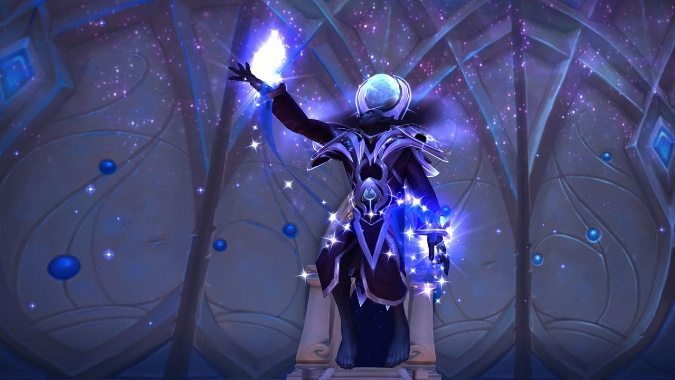 It’s possible that Blizzard, with their enlarged dev team, will be able to reduce the lull between Legion and whatever lies ahead for Azeroth’s heroes. Just don’t count on it. Your guild’s survival is at stake. The expansion launch boom is the critical one, because it dovetails with an increase in retention likelihood. That should be the “all hands on deck” period of recruiting, where you enlist the help of not just every officer, but every member of the guild, to recruit. Each raid tier release provides an opportunity, but there are palpable diminishing returns over the lifetime of an expansion. Antorus, which is likely to be the culmination of the Burning Legion storyline that began way back in the Warcraft RTS games, might have a more potent boom phase than average. Take advantage of it!